Ok so I’m writing this after I’ve eaten dinner and feel like I might have eaten the most amount of cheese in the history of the world. Even though I might be hallucinating slightly I will persevere and battle on through. Just to prove it, here’s some cheese. 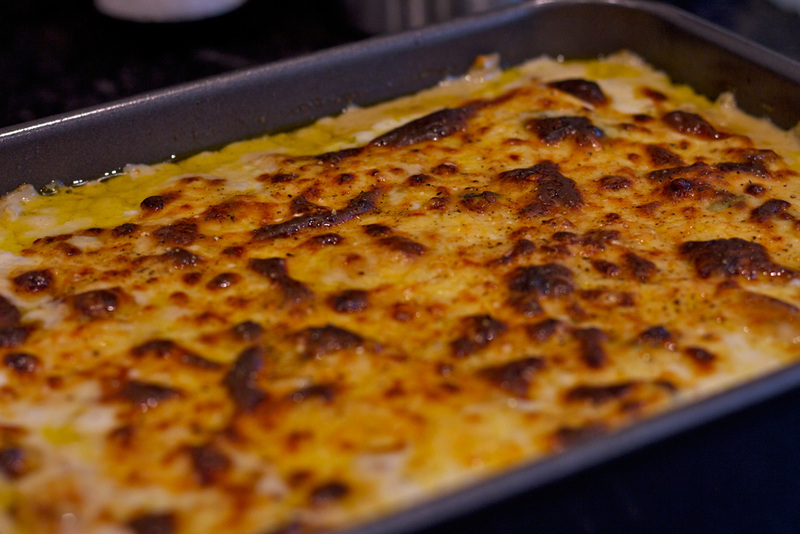 So, Cauliflower cheese. I’ve never really like Cauliflower and as a child when we had Cauliflower cheese my parents would always put potatoes in there which would mean I had to go through the pain of having to pick out all the bits of cauliflower. This normally resulted in me missing a bit and going through the shock of accidentally eating a bit of evil cauliflower. Now, I love the cheese sauce, who doesn’t love a good cheese sauce? But why ruin it with cauliflower? It always made eating it a rather stressful experience. As a child I’d ask myself. “Why can’t someone invent a dish with the cheese sauce and not the cauliflower?” For some reason it never occurred to me to just cook it myself and not put the evil cauliflower in there. Maybe I thought that there was some kind of law that said cheese sauce must be cooked with cauliflower. It’s very strange that in all my time cooking I’ve never thought of cooking this dish myself and customising it. I guess the stressful nature of eating the dish had wiped it from my memory. Well, a while ago my lovely friend Delphine cooked this dish but will broccoli and potatoes and it was great. I know that there has always been this variation on evil cauliflower cheese but that wouldn’t have helped because as a child I didn’t like broccoli either. Anyway finally I could eat this dish without the worry of the evil cauliflower. This got me thinking about how I’d cook this dish. 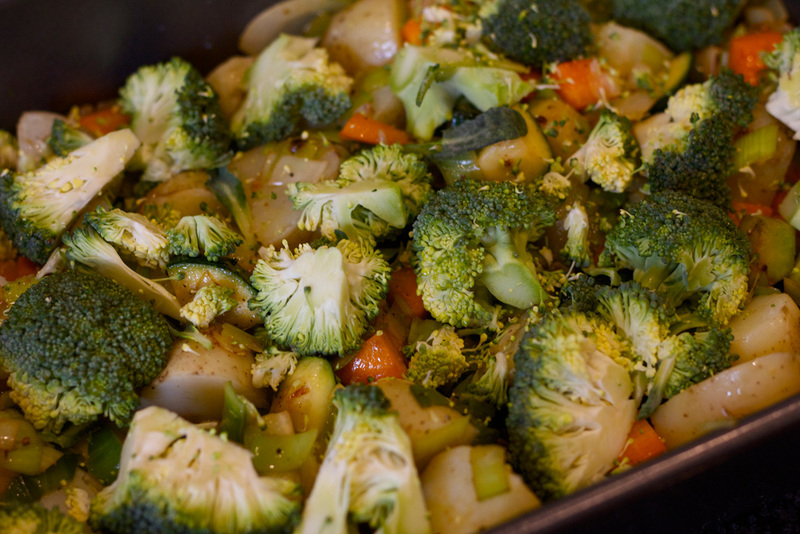 If you could do it with broccoli and potatoes why not put other vege in there as well. Now, Delphine accused me of stealing her dish when I did my version but I tried to tell her that Cauliflower cheese and indeed using Broccoli, potato and Cheese was invented a long time before she did it. She was having none of it 🙂 so I promised to give her credit for this recipe. She at least gave me the inspiration to create my version of this dish so thank you Delphine. I think I might have even promised her 1% of my book sales when it comes out! Pretty generous I thought. Milk about 2.5 pints. Not skimmed milk please. Man up. Nutmeg please try to get the whole nutmeg and grate it yourself. The pre-ground stuff is ok but nothing compared to the freshly ground stuff. 1. First thing to do is get your potatoes on. Just in water with a bit of salt, bring to the boil and then turn down to a simmer. 2. ok so now we are going to cook off the vege in batches. 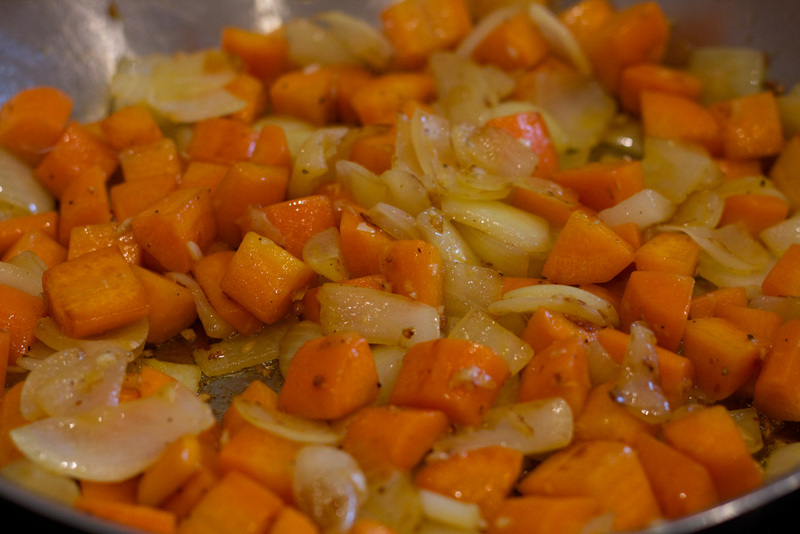 In a large frying pan add a splash of oil, then the carrots and onions, season with salt and pepper and cook off over a medium heat for about 5 mins to soften and take a bit of colour. Once done add to a deep oven roasting dish. 3. Repeat this process with the courgettes and garlic, then the leeks, then the mushrooms. 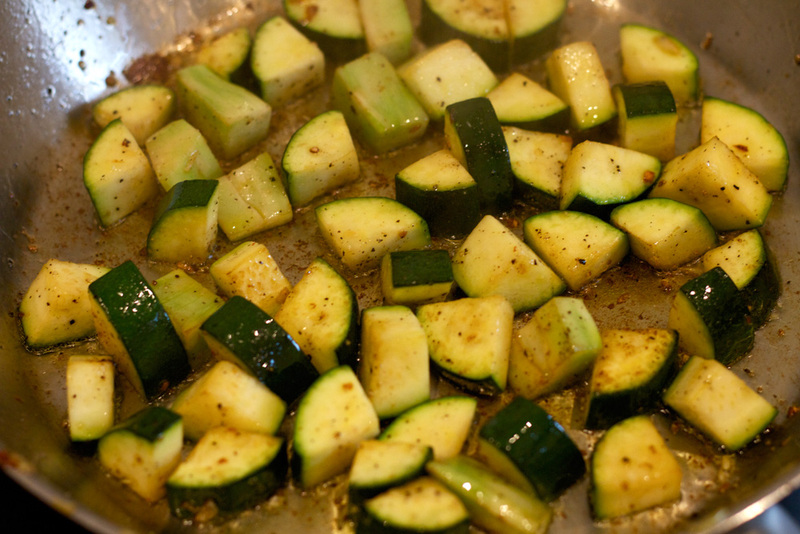 Do each batch separately as it allows each vegetable to cook properly and give it’s own distinct flavour. After each batch add to the oven dish. Finally add the uncooked broccoli and the cooked potatoes. (they should be cooked by the time you have cooked off the rest of the vege.) 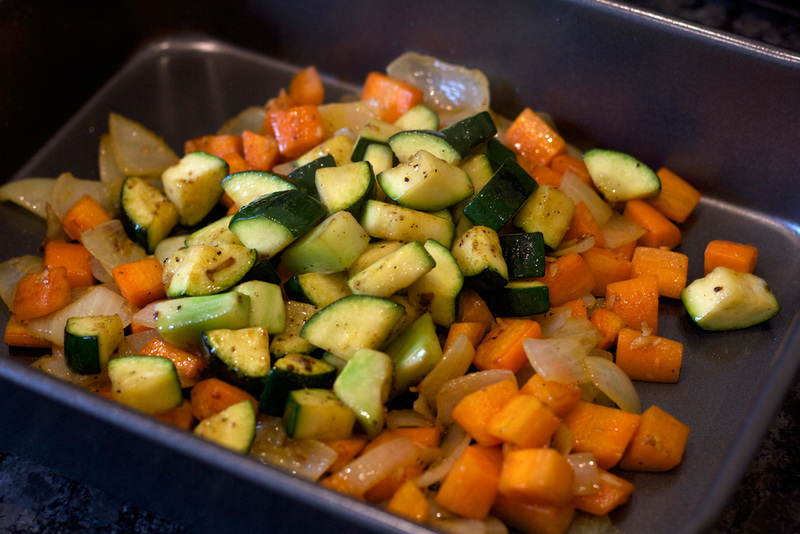 Give all the vege a bit of a mix up so it’s all even around the oven dish. Do this carefully as the potatoes might break part. 4. Now time to make the white sauce. On a medium heat, in a deep sauce pan add about 50 grams of butter, let melt then add about 2 heaped tablespoons of the flour and some salt. 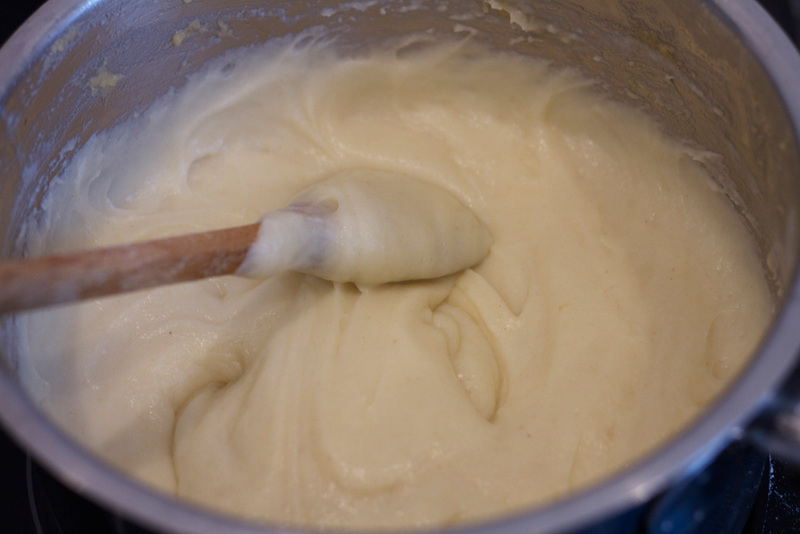 Mix really well and keep mixing for about 2 mins to cook off the flour a bit. Now add a ladle of milk to the pan. Do not stir until the milk has started to bubble a bit. Now mix really well. It will go into a thick paste. One it’s smooth add more milk, again let it bubble before you stir then mix well. 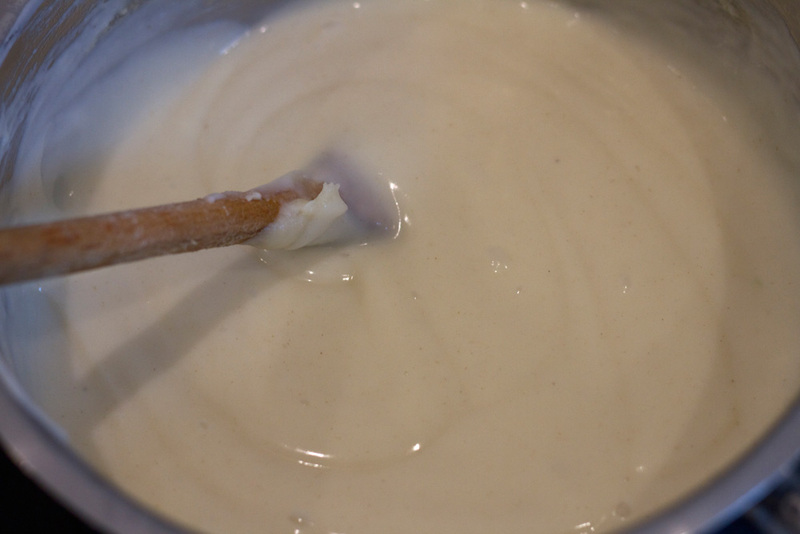 Keep repeating this process until you have a nice thick white sauce. It’s really hard to explain how thick you want this sauce but I’d say like a nice thick gravy. 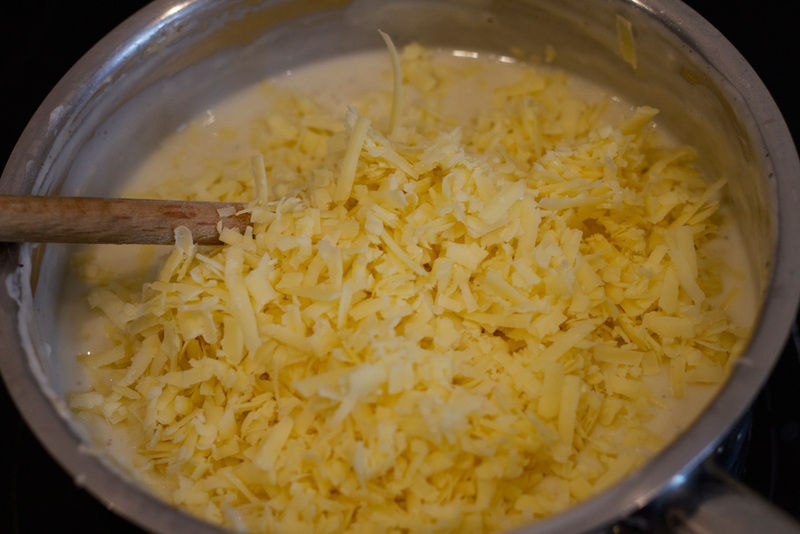 We are going to add cheese which will thicken it so you don’t want it too thick at this stage. 6. Ok so now pur the sauce over the vege This quantity should just about cover everything. 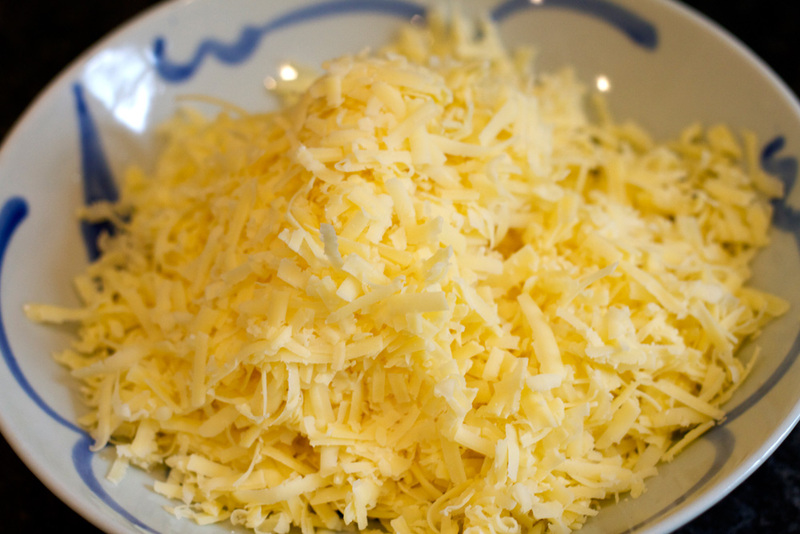 Sprinkle the rest of the cheese over the top and chuck in the oven on 180 for 50 mins – 1 hour. Now I would have had a photo here but I got so excited about all that cheese that I forgot to take one. 7. For the chicken I just added olive oil, salt and pepper then put in the oven for 45 mins. You can pretty much put these both in the oven at the same time then take out the chicken to rest then turn on the grill and finish off the vegetable cheese for 5 mins or so. Sorted. Not the healthiest thing in the world but there is a lot of vege in there, just a lot of cheese too! Really do give this one a try. 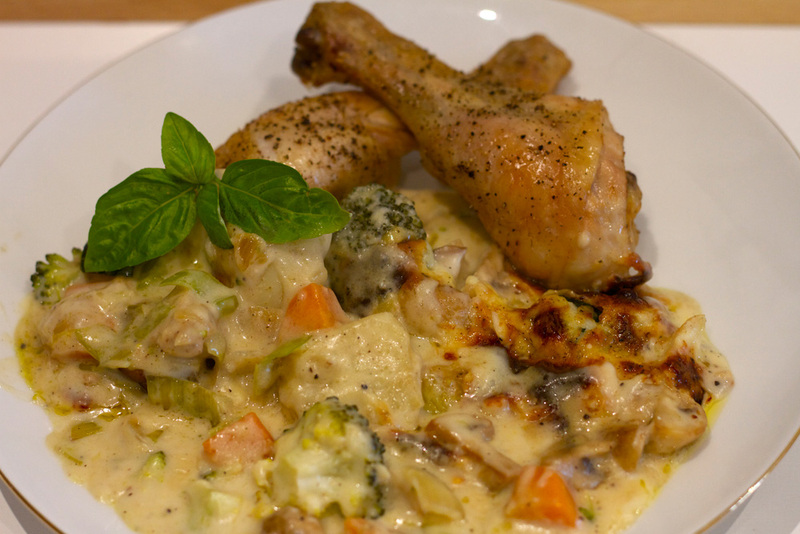 The only tricky bit is the white sauce, but after you’ve made it a few times it really is easy. 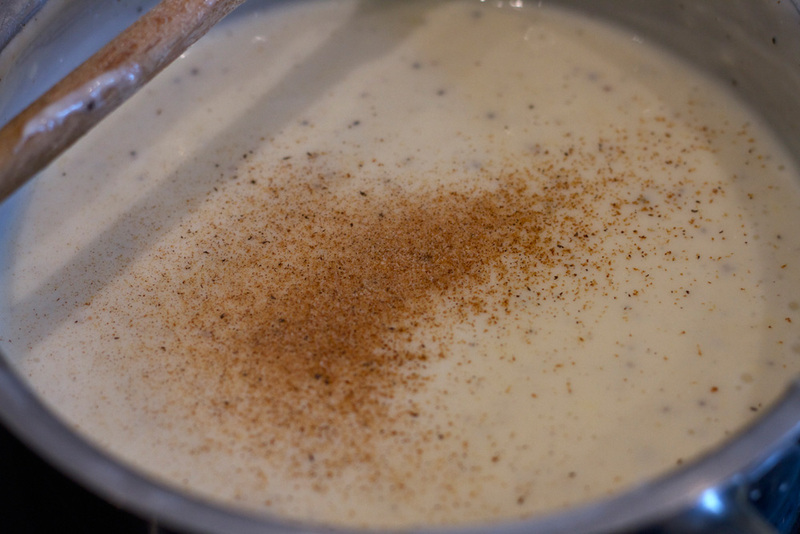 The white sauce can be used for so many different recipes. For example instead of the cheese you can put capers and parsley and have it with fish or roast ham and mash potato. mmmm yummy! Right I think I’ve just started to feel normal after all that cheese, time for some chocolate!